Experience New York City in comfort and style with a private tour in a classic car! 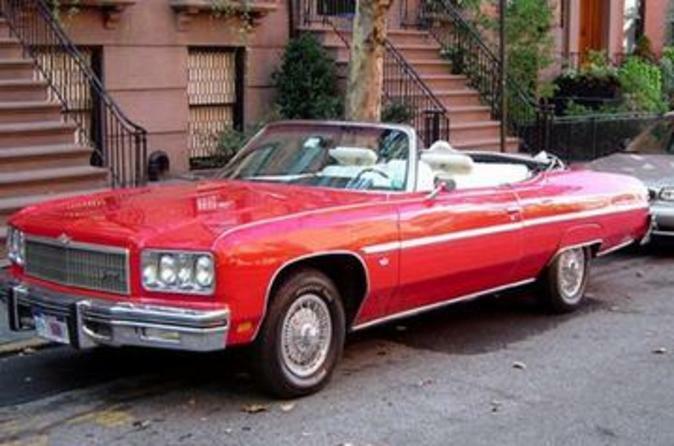 Cruise New York City's streets in an open-top 1971 Buick Skylark. Enjoy your classic car tour with a knowledgeable, native New Yorker at the wheel who will show you the most fascinating areas of New York. Your two-hour private tour in a mint-condition classic car begins in historic Greenwich Village, home to some of New York City's most influential residents over the decades. You'll also take a ride across the Brooklyn Bridge to the Brooklyn Heights Promenade for one of the most spectacular views of Manhattan's famous skyline. Tours are conducted in English, however, since the tour is mostly visual, the tour can work wonderfully even if you have only a basic understanding of English.